On Monday 11 March 2019 NVIDIA announced an all-cash acquisition of Mellanox Technologies at $125 per share, implying a total EV of $6.9bn. NVIDIA, whose share price had previously come under pressure due to a weakening demand for its graphics cards, aims to grow within the datacenters space and strengthen its leadership position in high performance computing (HPC). The combination of NVIDIA’s computing platform with Mellanox’ networking platform is expected to be financially accretive immediately after the deal closes. Intel and Microsoft reportedly also expressed interest in acquiring Mellanox. Mellanox Technologies is an Israeli manufacturer of networking products based on Ethernet and InfiniBand technology. The firm sells adapters, switches, cables, software and silicon for a range of applications including: data centers, cloud computing and high-performance computing (HPC). Mellanox was founded in 1999 by former Intel executives as a chip manufacturer and raised $102m in its 2007 IPO. Today, Mellanox is dually based in both the US and Israel, with two headquarters, respectively, in Sunnyvale, California and Yokneam, and employs close to 2,500 people around the globe. The firm’s technology helps to drive data center efficiency to companies like Netflix and Facebook and provides the infrastructure for the use of AI in real-time decision making at PayPal, Tencent and other industry leaders. In FY2018 Mellanox generated record revenues of $1.09bn, representing 26.0% YoY growth. Growth was driven primarily by increased sales within the firm’s Ethernet switch business which is expected to continue in 2019 with increased demand for high speed adapters. The extraordinary growth in revenue was achieved in conjunction with cost discipline across business lines, with operating expenses growing only 1.31% to $588.1m. Mellanox reported GAAP net income of $134.3m in FY2018, compared to a net loss of $19.4m in FY2017. GAAP net income per diluted share was $2.46, compared to a net loss per diluted share of $0.39 in FY2017. NVIDIA is an American semiconductor and technology company based in Santa Clara, California. The company was founded in 1993 and was an early pioneer of GPU-based computing. NVIDIA raised $42m in its 1999 IPO which valued the firm at $626.1m. Today, NVIDIA boasts a market capitalization of $114.25bn and is focused on the four key markets of gaming, professional visualization, data centers and auto (including self-driving technologies). For the FY ended January 27, 2019 NVIDIA reported GAAP revenues of $11.72bn, up 21% YoY. The technology firm grew gross margins by 130bps to 61.2% and generated net income of $4.14bn, representing a YoY increase of 36%. Diluted earnings per share grew by 38% to $6.63 as the firm returned $1.58 billion to stockholders via share repurchases. While FY results were positive overall, NVIDIA performed extraordinarily weakly in Q4, with revenues falling by 24% and operating expenses increasing 25% YoY. The associated drop in diluted EPS by 48% saw NVIDIA’s share price nearly halve over the past four months. The company blamed weaker Chinese demand and post-cryptocurrency surplus channel inventory for its sub-par Q4 performance but expects to return to sustained growth in 2019. The network equipment industry is heavily dependent upon economic growth and the need for computers and cloud storage facilities across the globe. Over the last century, the number of computer units shipped has increased exponentially, in particular, from 2,000 units in 1960 to over 65 million units per quarter in 2015. The primary reasons for the aforementioned trend have been the constant desire of individuals to remain connected through social media and other internet applications in a progressively digital world, the ability of companies to critically analyse data and complete tasks at faster speeds using advanced technology, as well as the government’s need to ensure national security and manage agencies in a more effective manner. The cloud storage market, which has also been essential for the developments in the network equipment industry, was valued at approximately $30 billion in 2017 and is projected to grow by a CAGR of 22.49% during the next years. These facilities, which require massive amounts of equipment, have enabled the usage of more complicated business models and have allowed for higher agility within organizations. The main products of network equipment manufacturers include switches, routers and control equipment, while software development, installation and maintenance represent the most important services offered by these firms. Production is primarily concentrated in Asia, where cheap and skilled labor is widely available. Individual companies are often able to generate substantial economies of scale and scope, encouraging large and diversified production facilities. Nevertheless, smaller firms may also succeed by targeting niche market segments. The industry is characterized by a high degree of concentration. The largest companies include Cisco Systems, Hewlett Packard Enterprise, Nokia and Huawei. In the recent past, these largest players have also adopted a variety of strategies, such as M&A to establish a competitive advantage within the industry, which is mostly cost-based. China, India and South Korea are expected to make up a greater proportion of the worldwide demand for network equipment in the upcoming years, given the large customer base and rapid growth of these countries. Nonetheless, high-quality computers and repairment services have harmed the sales and profitability of network equipment manufacturers. A greater proportion of customers repair their products nowadays before purchasing entirely new models. Innovative tools, such antivirus software and diagnostic screening, which facilitate the maintenance and durability of computers, have further dampened the growth of network equipment products. As specified by the takeover agreement, Mellanox shareholders will receive $125 in cash per share, which represents a 14% premium to the previous closing price of $109.38. The transaction has been approved by both companies’ boards of directors. Although, the acquisition is subject to regulatory approval and several customary closing conditions, the deal is projected to close by the end of the current calendar year. 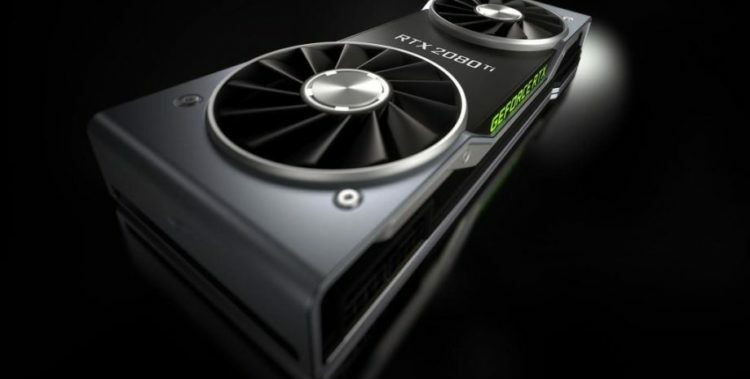 The deal represents an attempt of Nvidia to further differentiate from its core gaming business after the company faced a turbulent end in 2018 as its gaming division’s sales slid, also driven in large part by a slump in sales of graphics cards to cryptocurrency miners (in fact, Graphic cards, or GPUs, have also application in cryptocurrency mining). Executives of Nvidia have warned investors and analyst that total revenues in 2019 would be flat or decline and have therefore decided to bet on the skyrocketing demand on world’s data centres, a market forecasted to grow around $20bn by 2022. The combined entity will serve every big provider of cloud computing services and power more than half the world’s fastest supercomputers, with customers such as Dell, IBM and other U.S. And Chinese cloud giants. This aspect is one of key advantage of the deal: Nvidia and Mellanox have many of the same server and cloud clients and Mellanox complements Nvidia’s graphic processors which have been increasingly used in machine learning systems. This will create a lot of opportunities to cross-sell and enhance the solution set of Nvidia. Another important aspect behind the deal is that the price is reasonable: at a 14% premium to the Mellanox’s closing share price on Friday, Nvidia is paying 20x Mellanox’s 2019 EPS consensus of $6.17 and 18x its 2020 EPS consensus. Furthermore, there could be more accretion to Nvidia’s EPS if Nvidia can boost Mellanox’s revenue growth and/or obtain cost synergies which have been conservatively set to be zero. Lastly, the deal could also be a reaction to intensifying competition. AMD has begun selling GPUs, Intel plans to launch its first data center GPU in 2020 and Google now partly relies on an internally-developed solution. Therefore, Nvidia’s decision to buy Mellanox may be seen as way to diversify Nvidia’s data center business and it should strengthen its customer relationship in the market. The transaction is also a win for activist investor Starboard Value, which had bought more than a tenth of Mellanox and called for the company to explore a deal to bolster its share price. With the acquisition Starboard Value will gain more than 100% on the 5.8% stake it still possesses. On Mellanox’s side, one of the biggest beneficiaries of the deal will be the CEO, Eyal Waldman, who will come away with $230mm. The employees also will benefit from the merger both economically, since 7% of the company is owned by employees. The acquisition of Mellanox represents one more link in a chain of sales of Israeli public companies in recent months, such as Frutarom, Sodastream and Attunity, with possibly many more to come in the future. Nvidia shares rose 4.8% on Monday morning to $157.79 as investors welcomed the diversification away from its suffering core business. On the other hand, Mellanox only gained 9 per cent to $118.93, closing $7 below the deal price, with the difference accounting for the uncertainty over the deal. Even if antitrust risks are pretty low because of the lack of product overlap, the market still appears to be worried about regulatory approval due to the failure to obtain Chinese approval by Qualcomm, the last attempt of U.S. chip acquisition. Nevertheless, Nvidia’s willingness to close the deal, which requires it to pay a $350mm termination fee in the event things should not go through, could be a sign that China is now less likely to block an acquisition, as trade tensions show some signs of thawing. In addition, it is worth mentioning that in Q4 2018 Nvidia shares dropped 54%, making it the worst performing company on the S&P 500 over that time period. Goldman Sachs served as exclusive financial advisor to NVIDIA and Jones Day served as its legal advisor. Credit Suisse and J.P. Morgan Chase & Co. served as financial advisors to Mellanox and Latham & Watkins and Herzog Fox & Neeman served as their legal advisors.